The colon is located in the abdomen and measures approximately 5ft (1.5 metres) in length, and 6.5 cm (2.5 inches). It is the final part of the digestive tract. It has been said that life and death begin in the colon. The colon is responsible for the production of vitamins, i.e vitamin K, extracting water and maintaining water balance. It has however been labelled the sewer system of the body, as one of its key functions is to store waste. In an average human it houses anything from 5 to 25 pounds of waste material! This waste material can putrefy (causing odour and bloating) and produce toxins. These toxins penetrate the walls of the colon and progressively pervade the body, circulating in the bloodstream, increasing the overall toxicity of the individual. This eventually gives rise to disease. A healthy colon plays a crucial role in the health of the body. Keeping the colon working efficiently is of paramount importance to the cancer patient. 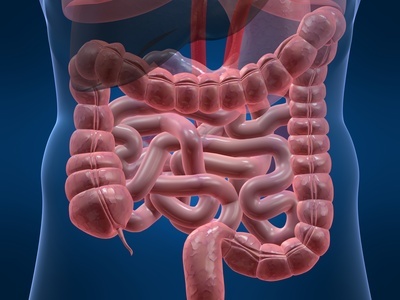 The intestines are vitally important to the immune system as they have more immune (lymphoid) tissue and manufacture the highest number of hormones and neurochemicals amongst the organs in the body. In fact every system in the body is directly associated with the colon. A toxic body normally stems from a toxic colon. A toxic colon can become so full, impacted and stretched that it loses correct functioning. It therefore makes sense to address this organ as a priority. The healthier the colon, the healthier a person will be. The internal environment of the colon is adversely affected by stress, pollution, unhealthy foods and drinks, drugs, smoking, and chemicals which produce an accumulation of toxins. These toxins overload the organs of elimination in the body, weaken the immune system and reduce the proper functioning of every cell in the body. Over a third of the UK population regularly suffers from digestive illness such as IBS, constipation, diarrhea, and stomach-aches. Colitis, diverticulitis and yeast infections (candida) are prevalent in the UK. Colon cancer is the 3rd most common cancer in the UK. It is the second most widespread cancer in women after breast cancer and the third most common male cancer after prostate and lung cancer. Colon cancer is the second most common cause of death in the UK after lung cancer. Approximately 16,000 people die from colon cancer each year. What happens during a Colonic Treatment?